In today’s business, social media platforms such as Facebook and Twitter have become a vast marketing opportunity for promoting brands to a wider audience. 78% of companies say they now have dedicated social media teams, up from 67% in 2012. According to Social Media Examiner’s 2013 Social Media Marketing Industry Report, 78% of business professionals noticed an increase in traffic whenever 6 hours a week was invested in social media marketing. Another study from Social Media Examiner showed that increased exposure is said to be the top advantage of social media marketing, according to 89% of marketers. This means running a website isn’t enough to grow your business. It’s only the first step in reaching your target market online. Sales-generated leads, profitable relationships, and increased ROI are only a few of the benefits of using social media as one of your marketing strategies. Explore the world of digital media to give you higher chances of meeting potential clients and customers which will help you expand your business territory in the long run. 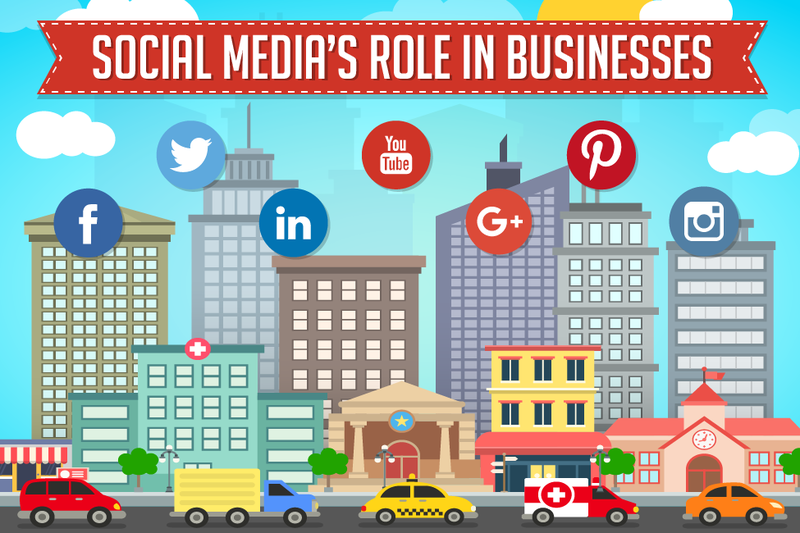 This infographic from SlideGenius.com will further illustrate how social media plays a big role in your business.